Amplify your GBTA Conference 2020 – Toronto exhibiting experience with Visibility Packages. 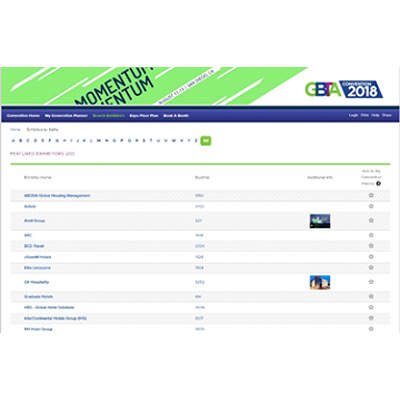 Each package level provides marketing opportunities for business travel suppliers that allow them to reach GBTA’s network of influential business travel professionals year-round to expand brand awareness and generate sales leads. On-site investment allows program participants to earn discounts up to 76%. Feature your organization to all 2020 Conference attendees. 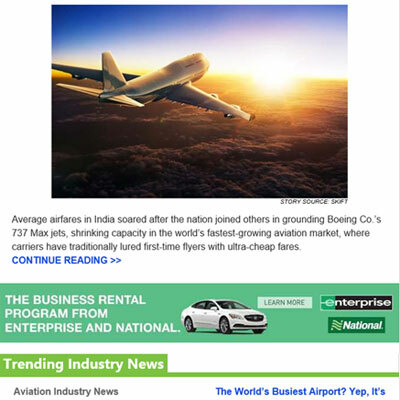 Maximize brand awareness with a banner advertisement in one send of the bi-monthly Connecting Canada email newsletter. 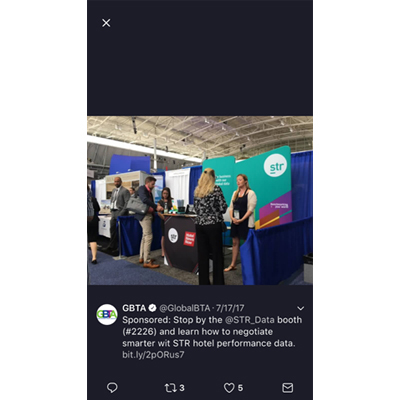 Reach all Conference attendees with a unique on-image of your Conference expo space displayed on the official GBTA twitter feed. 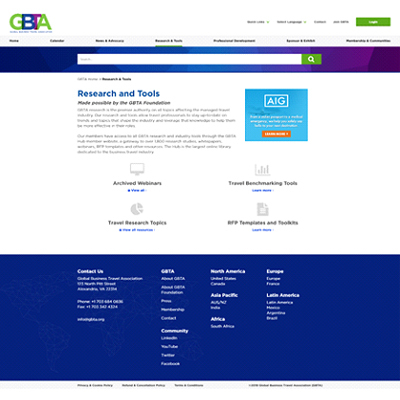 Amplify your message with one month of banner ads on gbta.org. 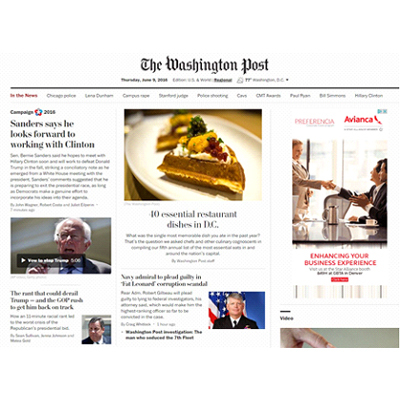 Connect with Canadian business travel buyers throughout their entire online experience with banner and text ads. 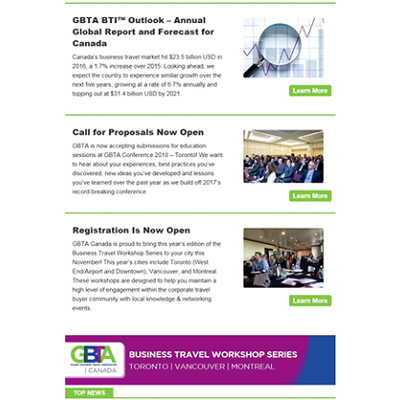 The GBTA Daily News Brief is the business travel professional's go-to resource for the most up-to-date business travel news and information shaping the industry. This email is sent to over 6,100 GBTA Members. Interested in learning more about Visibility Packages? Fill out the form below and a member of the team will reach out shortly.